These Halloween costume patterns and tutorials will help you create the perfect homemade baby costume! No need to spend ridiculous amounts of money for a poorly made, mass-produced costume. Making your own can save you money and you'll have a well-made garment that can be used all year 'round for dress-up and pretend play. Some of these ideas, patterns and tutorials are for sewing, but some are sewing free and so simple! If there is a pattern or tutorial or specific costume you'd like to see here, please contact us and let us know! My favorite costumes from childhood were the homemade ones. They were more comfortable and just looked better. There is no need for your little ones to wear a scratchy store-bought costumes when you can make your own! 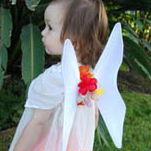 Make a beautiful and sturdy set of fairy wings out of just two hangers, tights and duct tape! A very simple and quick project using things you likely have at home already. This is an ideal last-minute costume accessory and great for year 'round dress-up too! Ridiculously easy skirts using tulle or silk scarves and a loop of elastic. No sewing involved, just tie some knots! These skirts are perfect for fairy costumes, princess costumes and ballerina costumes, just adapt the rest of the accessories for different costume themes. Free ladybug costume pattern to sew a cute and detachable ladybug shell out of red and black felt, stuffing and velcro to attach it to a onesie! Change the colors to greens and you'll have a cute turtle costume! Includes free printable template pattern, photo tutorial and also instructions to make bug antennae out of pipe cleaners & styrofoam balls. A classic silly spin on a devil costume, adding the felt egg tones it down for babies. My cousin went as a "deviled egg" back in the late '70s. Complete instructions for making devil horns out of tin foil, masking tape and paint! Turn your little cookie into a sweet little cookie using these simple instructions! Plus, the two parts of this costume can be used after Halloween as chair cushions or even pillows in the playroom. Complete instructions and photos for this one. No need to stick with just the classic chocolate chip classic either, go wild with sugar cookies and different shapes! Very easy robot costume instructions to turn your little one into a little robot! Cheap and quick to make and comfortable for the child to wear and walk in. No sewing involved, just paint and scissors for this one. A headband completes the outfit which means no boxes on their head which would be uncomfortable. 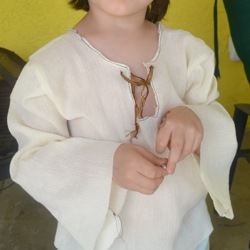 A free printable renaissance style tunic pattern! Also great for pirates and actually will work for many kids medieval costumes. Just two pattern pieces that print on four sheets of regular paper. This one sews up really quickly too. If pirates are your thing, you might also like the Pirate Sword making pattern and our Pirate Eye Patch pattern! Free elf hat pattern to sew a cute little elvish hat for your baby or toddler. Great for Halloween, dress-up and of course Christmas too! Use with felt or fleece for a sturdy hat with a point on top that stands up. Free printable pattern PDF. A free pumpkin template for you to print out and use for creating appliques for shirts and other baby clothes! Add a face to make a Halloween Jack-o-Lantern or leave as a plain pumpkin that is perfect all autumn long. 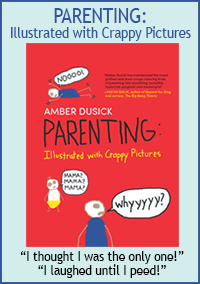 Complete instructions and printable template. Have your child use their candy like currency and "trade" you their candy for toys instead. Plus, then you get to secretly eat it!